2017 is just around the corner and SIB already has a foot on its threshold. During 2016, the Institute strengthened its position as an important representative of bioinformatics both on the national and the international level, and continued to develop its endeavours in the field of personalized health. In this respect, the Institute spent 2016 preparing for the official start of the Swiss Personalized Health Network (SPHN) initiative scheduled for January; SIB is head of its Data Expert Group and in charge of the Data Coordination Centre. Besides the SPHN landmark, SIB was asked to coordinate the integration of clinical data for the pan-European project for precision therapy and the prevention of diabetes (RHAPSODY), which was launched last September, and in October the Institute inaugurated its first cancer diagnostic platform at the Geneva University Hospital. 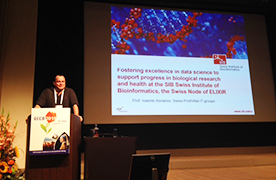 On the databank front, early on in 2016, SIB hosted the 9th International Biocuration Conference in Geneva which coincided with the 30th anniversary of two SIB core resources used worldwide: UniProtKB/Swiss-Prot, the protein sequence database, and the Eukaryotic Promoter Database (EPD). Finally, on the international level, in 2016 SIB co-led the development of indicators to support the identification of ELIXIR Core Data Resources – a process that will be put into practice next year. So, as you see, the times have been particularly fruitful for SIB, and we hope you will enjoy reading about some of its activities in our last newsletter of the year. In September, more than 1180 attendees from 55 countries met in The Hague, Netherlands, for the 15th edition of the ECCB, organized in association with ELIXIR. SIB was represented by 15 of its members, 4 talks, 6 posters - showcasing the latest cutting-edge scientific results, SIB’s training initiatives and achievements, and finally the institute’s involvement in European data resource governance - and a booth, which served as a hub for students, researchers and representatives of other Elixir Nodes. The epilogue talk of the Conference was delivered by Torsten Schwede, new Chair of the ECCB Board. Only a fraction of the 500+ public biological databases in Europe benefit from institutional support and long-term funding. Fundamental knowledge and associated investments are therefore at risk of being lost. ELIXIR, whose mission is to build a sustainable infrastructure for biological information across Europe, has just identified a set of key indicators to single out the data resources of crucial importance for life sciences. These indicators, described in a new paper by Christine Durinx, Jo McEntyre et al. in the context of the Horizon 2020 ELIXIR-EXCELERATE project, will also support the promotion of excellence in resource development. RHAPSODY (Risk Assessment and ProgreSsion of Diabetes) is a European consortium bringing together experts from 26 partner institutions to identify, validate and characterize causal biomarkers of type 2 diabetes, the most common form of this widespread disease. SIB acts as the Data Coordination Center for the project, ensuring data standardization and integration of genomic, biochemical and clinical data from large patient cohorts. The project is funded by the Innovative Medicine Initiative (IMI), a public-private partnership between the European Union and the pharma industry and will allow major advances in precision therapy. 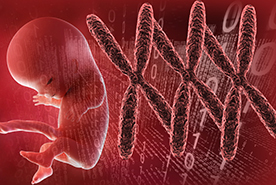 SIB Vital-IT group has been involved in fine-tuning an existing non-invasive prenatal test (NIPT) with the hope of detecting a broader array of chromosomal anomalies. The test’s efficiency was monitored on 6,388 pregnancies and the results have been published in Genetics in Medicine. In 2013, the group had already announced its role in developing the algorithm behind the same test to detect frequent chromosomal anomalies: this enhanced version could be used to detect anomalies that are rare and severely disabling. 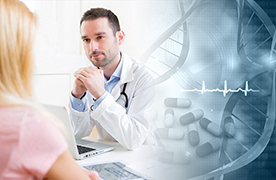 The eTalks, a new interactive scientific multimedia editing tool created by Vital-DH projects@Vital-IT group, now include a "Personalized medicine" series targeting specialists as well as the general public. Listen-watch-read the latest eTalk by Frédéric Schütz (SIB), on the probabilities and risks associated with new diagnostics in the context of Personalized medicine (in French), or Vincent Mooser (CHUV, UNIL) presenting (in English and French) the Lausanne Institutional Biobank (BIL). SIB Clinical Bioinformatics organized a clinical metagenomics workshop in September to understand the challenges and solutions related to the identification of bacteria, viruses and fungi extracted, for example, from samples of patients infected by an unknown pathogen. The event gathered more than 50 participants from various organizations spread across Switzerland (incl. hospitals and universities). Following this first step, some of these institutions have now become actively involved in a dedicated SIB working group, with the objective to harmonize and streamline tools and best practices for diagnosis in Switzerland. 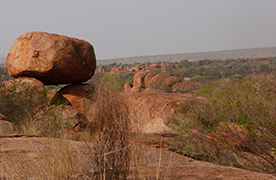 Australia has one of the longest histories of continuous human occupation outside Africa. But who were the first people to settle there? Such a question has obvious political implications and has been hotly debated for decades. The first comprehensive genomic study of Aboriginal Australians reveals that they are indeed the direct descendants of Australia’s earliest settlers. The research, published in Nature, includes six researchers from SIB – among whom lead author Anna-Sapfo Malaspinas, and Laurent Excoffier, both SIB Group Leaders. 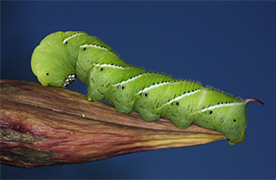 An international team of scientists from 50 research institutions, including SIB, published their findings from the sequencing, annotation, and exploration of the genome of the tobacco hornworm moth. The moth’s giant caterpillars are a favourite childhood pet, but they are considered serious agricultural pests as they feed voraciously on tobacco, potato, tomato, and pepper plants. Their large size also means that this moth has become one of the most important model species for studying insect physiology, biochemistry, and molecular biology. 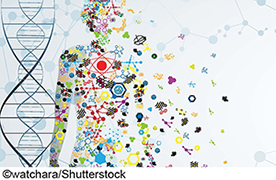 Sequencing its genome opens many new research avenues. This year both UniprotKB/Swiss-Prot, initiated by Amos Bairoch and the specialized Eukaryotic Promoter Database EPD developed by Philipp Bucher reached the mature age of 30. Both databases were created by two of SIB’s founders and have been supported by SIB since its beginnings in 1998. To mark this event and bring together a wide array of researchers who have made seminal contributions to our current understanding of promoter function and structure, Philipp organized a symposium in September entitled "Promoter Research: Past, Present and Future". 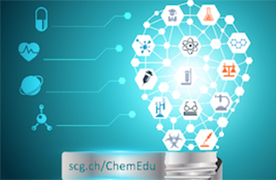 The Swiss Chemical Society (SCS) recently extended its activities to teaching chemistry in schools, and invited SIB to conduct a Drug Design workshop at its first symposium - "Future of Chemical Education", organized during the SCS Autumn meeting on 15 September at the University of Zurich. Twenty-four teachers from Zurich and its surrounding region took part in the workshop led by Marie-Claude Blatter (SIB Outreach), Antoine Daina and Vincent Zoete (Molecular Modelling Group). The workshop met with great enthusiasm and SIB has already been invited to take part in next year's symposium. We need to remember. Yet there are things we would like to forget. They just hang on in there regardless of feeling and time. What is it that keeps a memory alive inside us? 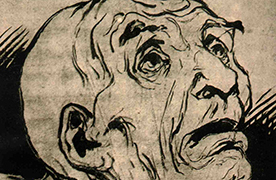 What is it that makes a sort of indelible imprint on our brain while other memories slip away? The SIB Swiss Institute of Bioinformatics is an academic not-for-profit organization. 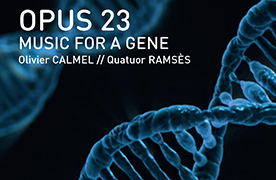 Its mission is to lead and coordinate the field of bioinformatics in Switzerland. Its data science experts join forces to advance biological and medical research and enhance health by (i) providing the national and international life science community with a state-of-the-art bioinformatics infrastructure, including resources, expertise and services; (ii) federating world-class researchers and delivering training in bioinformatics. It includes some 65 world-class research and service groups and some 800 scientists in the fields of genomics, transcriptomics, proteomics, evolution, population genetics, systems biology, structural biology, biophysics and clinical bioinformatics. Copyright © 2016 SIB. All rights reserved.